Changing to a cloud centric way of working is the focus of many organisations and Microsoft Azure is high on the agenda. But knowing what and when to migrate can be complex. Some workloads are more cloud-ready, while other systems may need to be adapted to work in the cloud. No migration comes without risk. Effective planning, budgeting and business continuity is of the upmost importance to safeguard your investments. That’s where our cloud experts can add value. Book your free consultation with one of our highly skilled Cloud Solution Architects to discover how we can support your modern datacentre transformation. To give you the best solutions, we first need to understand your needs. That’s why we start all our Azure engagements with an Exploration Workshop. 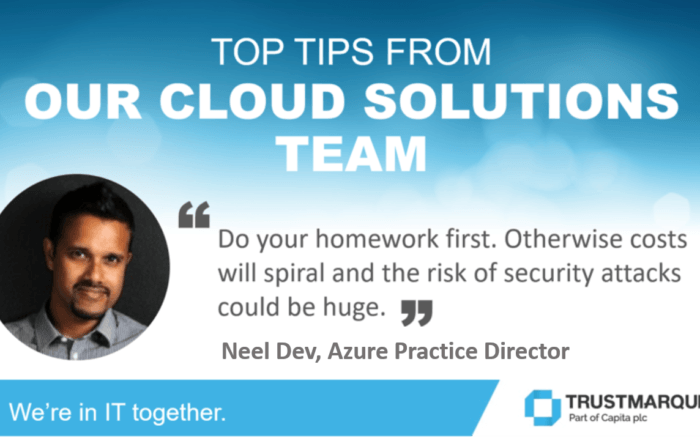 This free consultation (in person or online) held with our skilled Cloud Solution Architects is broken down into three topic areas – discover, discuss and recommend. Our consultants will work with you to understand your key business challenges and what you are trying to achieve, how technology is currently used and where it can be optimised. We will then be able to highlight opportunities for change whether that is utilising the cloud or on-premise solutions. Once we’ve identified your core objectives, our assessments will arm you with the information to make the right decisions about your IT estate. Using cutting-edge assessment tools like Movere, MAPS, DMA and Turbonomics, combined with a series of in-depth workshops, we will provide you with a clear roadmap for your Azure adoption. You will gain; a clear understanding of what can be moved Vs what should stay on-premise, recommendations for hybrid, public and private cloud platforms; insights to support accurate budgeting and planning. We’ll also identify areas for improvement in your current IT estate. CloudGO is our “in a box” Azure migration solution that gets you to the cloud faster, giving you a blueprint for your new virtual datacentre. CloudGo follows on from the Assessment phase and is designed to migrate the appropriate workloads from your on-premise datacentres to Microsoft Azure. We take the outputs of the assessment services and combine these with further due diligence and consultative workshops to define a detailed scope of work and design for your cloud environment that moves eligible workloads to Microsoft Azure. 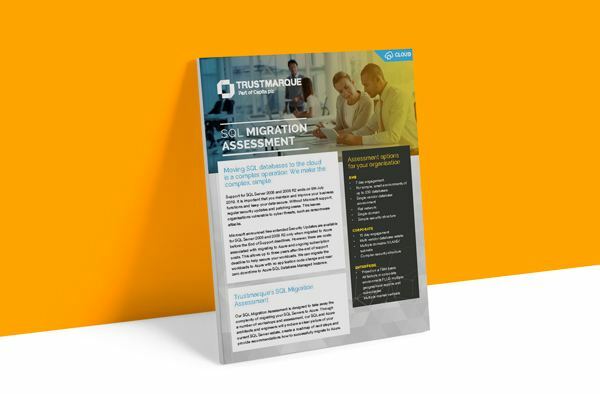 After the migration, you can either return system support back to your in-house operations team or Trustmarque can continue to support you through the Microsoft Cloud Solution Provider (CSP) programme. Access technical expertise and service support whenever you need it. Our proactive and flexible support team help you to manage your infrastructure, serving both public and hybrid cloud environments, regardless of where individual workloads reside. 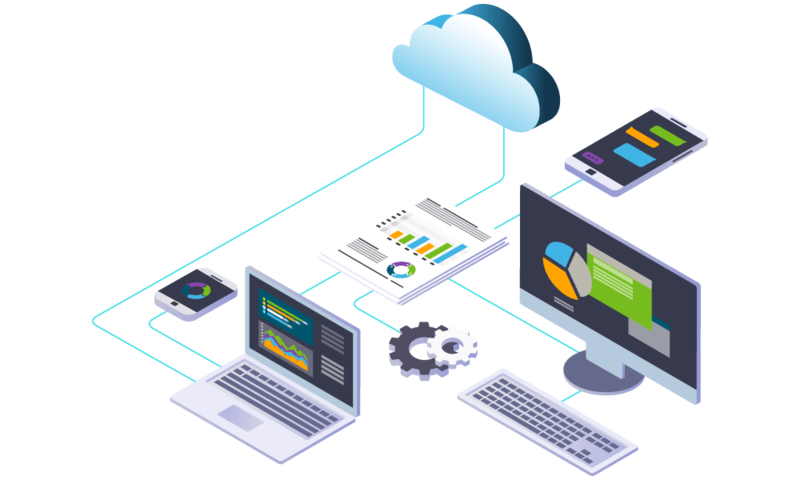 We closely monitor your IaaS (and a growing segment of PaaS platforms) with your on-premise environments, so we can identify issues promptly and provide you with accurate response recommendations. Plus you will have peace of mind knowing that your issues will be addressed under pre-agreed SLAs. We can provide both 24/7 or business hours support, depending on your needs. Whether you’re moving to the Cloud for the first time with Trustmarque Azure Solutions or you’re already using cloud platforms to host your data, apps or infrastructure, you can maximise your investments with our Optimisation solutions. We combine the latest assessment tools such as MAPS, Movere, DMA and others, with a series of 1:1 workshops to get a full understanding of your IT environment. We will then present you with clear recommendations to help develop an ongoing cloud optimisation strategy and roadmap for your organisation. Within your organisation, there could be specific areas that would benefit from being moved to a cloud environment. This could improve cost, security or usability see. 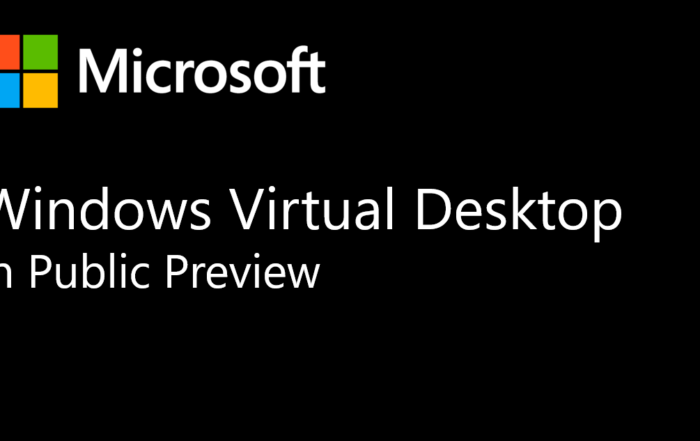 View our Select Services and see how they can transform certain IT areas within cloud. Cyber Security is one of the single most important considerations in the digital age. 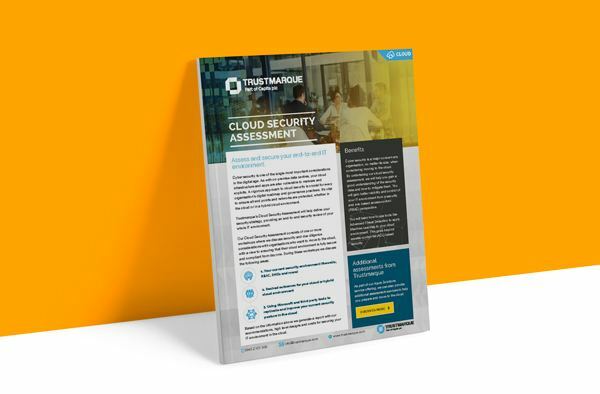 Trustmarque’s Cloud Security Assessment will help define your security strategy, providing an end to-end security review of your whole IT environment. 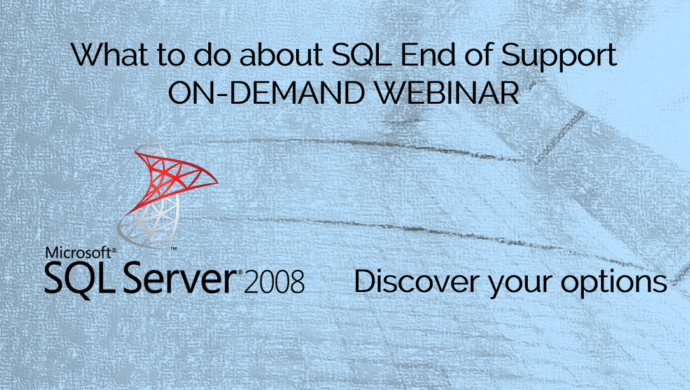 Support for SQL Server 2008 and 2008 R2 ends on 9th July 2019. Our SQL Migration Assessment is designed to take away the complexity of migrating your SQL Severs to Azure. We can migrate the workloads with no application code change and near zero downtime. Microsoft Azure is one of the most popular cloud platforms with datacentres in the UK and spanning the globe. Azure is Microsoft’s public cloud computing platform, which provides a safe and adaptable environment for a range of applications, including; data storage, backup, disaster recovery, Active Directory and more. Azure offers organisations scalable and flexible options to complement their own on-premise infrastructure in a hybrid strategy or as an integral part of a multi-cloud approach. 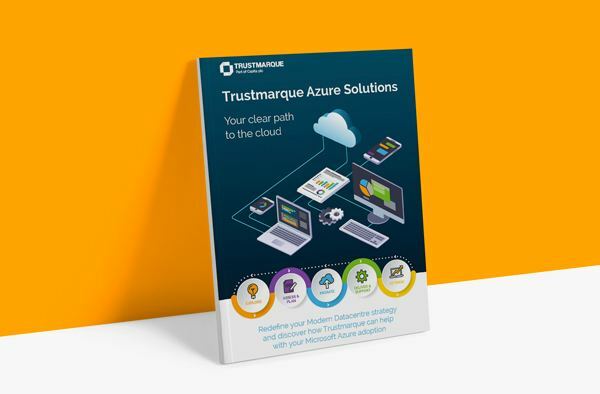 Why choose Trustmarque for Azure Solutions? We simplify and remove the risk from your Microsoft Azure adoption to deliver cloud success for your organisation. Our highly accredited team has a wealth and depth of experience in successfully procuring, building, deploying and managing Azure solutions for many customers in both the public and private sectors. 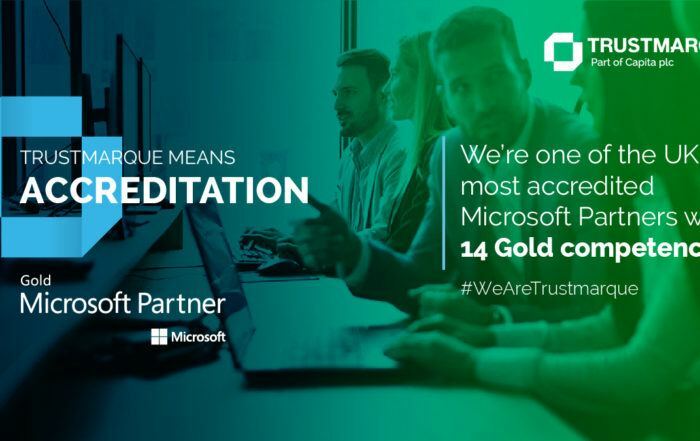 With a 30-year strong relationship with Microsoft, including a wide range of Gold accreditations, we are perfectly placed to help customers with their cloud workloads in Azure.